With three decades of experience as the world’s leading all-inclusive resort company dedicated to two people in love, Sandals Resorts today announced the contest of a lifetime: to find the most romantic, moving and creative tale of love with its Greatest Love Story Contest. The six month, worldwide search kicks off today, and will culminate with an announcement of the winners on October 15, 2011. 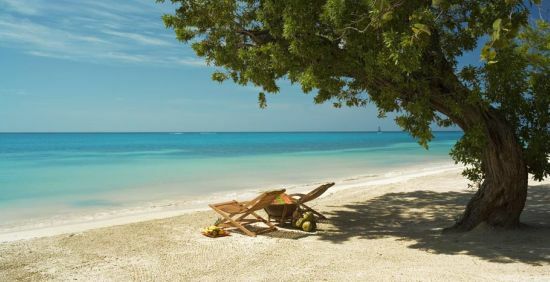 The contest launch coincides with the 30th anniversary of Sandals Resorts, strengthening the company’s status as the authority on romantic getaways. Beginning today, contestants can upload a video of their personal love story to www.sandals.com/greatestlovestory. Every month for six months, Sandals Resorts’ panel of judges will pick a finalist, and the public will have the opportunity to vote online for their favorite video as the seventh “popular vote” finalist. Videos that are chosen each month will become eligible for either the contest’s grand prize or runner-up prizes. Throughout the contest, each monthly finalist will be featured on sandals.com/greatestlovestory, where they will share their romantic story with the world. The couple whose story is considered by Sandals Resorts to be the most compelling will be swept away for an eight-day / seven-night Luxury Included® vacation to Sandals Montego Bay in Jamaica, the company’s very first resort, and will be invited to attend the company’s exclusive 30th Anniversary Celebration. The couple will stay in one of the resort’s luxurious, butler-serviced Love Nest Suites, complete with private luxury airport transfers, and will be treated to a Beautiful Beginnings-themed Sandals Wedding by Martha Stewart™ or a complimentary vow renewal ceremony. In addition to round-trip airline tickets, the grand prize winner will also receive a signature West Indian couples’ massage at the award-winning, Caribbean-inspired Red Lane® Spa plus a Lovers Rock Sunset Catamaran Cruise from Island Routes Caribbean Adventure Tours. On October 15th, Sandals Resorts will reveal the Greatest Love Story Contest’s Grand Prize winning couple. The six remaining finalists will win a four-day/three-night Luxury Included® vacation for two to any Sandals Resort, located in Jamaica, Saint Lucia, Antigua, and The Bahamas. As a part of their Luxury Included® stay at a Sandals Resort, all seven finalist couples will have the opportunity to indulge in the romantic vacation experience that Sandals Resorts has been perfecting for the last thirty years, with unlimited gourmet dining options at up to 15 specialty restaurants, premium brand-beverages including Blue Mountain Coffee, wines by Beringer Vineyards and El Dorado Rum, all land and water sports including offshore snorkeling and scuba diving, nightly entertainment and airport transfers. All entries must be submitted by August 14, 2011 for consideration. For more details and to enter, couples can visit sandals.com/greatestlovestory. Sandals Resorts has earned a worldwide reputation for providing two people in love with the most romantic vacation experience in the Caribbean. Currently, there are 14 Luxury Included® Sandals Resorts located in Jamaica, Antigua, Saint Lucia and The Bahamas. Each offers stunning beachfront locations; a choice of à la carte restaurants, from white-glove dining to barefoot elegance; all premium brand wine and spirits, including an exclusive partnership with California's legendary Beringer Vineyards; luxurious accommodations in a range of categories; unrivaled watersports including the Caribbean's largest PADI certification program; Butler Service for truly indulgent pampering; Sandals Weddings by Martha Stewart™; and signature Red Lane® Spas, with services and treatments inspired by the region. Sandals Resorts has set the industry standard for the Luxury Included® vacation and has been voted the Caribbean’s Leading Hotel Brand at the World Travel Awards for 17 years in a row, and World's Leading All-Inclusive Company for 15 years in a row. For more information, call your local travel agent or 1-800-Sandals (1-800-726-3257) or visit www.sandals.com.